Films that are worth talking about are worth seeing twice. Sometimes the second viewing can open up a film, revealing just how good it really is. On the other hand, it can confirm that despite all its promise, it somehow falls short of being truly great. So far I’ve only seen Christopher Nolan’s Interstellar once, so I can’t say for certain where it falls on this scale. All I can say is that it is worth talking about. Rather than a review, this is going to be a critique, a musing on certain points, and thoughts about where Interstellar fits into the history of science fiction cinema. Spoilers, obviously, but not too many. With Interstellar, I made as much of an effort as I ever have to avoid learning anything about the film. It wasn’t an entirely successful effort. Thanks to Facebook and RSS feed summaries, I ended up learning about the movie’s main scientific conceit and the surprise cameo. Thankfully, neither of these are key to what the film cares about: it’s a space opera rather than hard science fiction, despite its trappings, and the cameo is, well, a little pointless. When it comes to space-based science fiction films, two great films loom largest for me: 2001: A Space Odyssey and Moon. Like Interstellar, both of them focus on humanity against the background of space and science, yet they present this central obsession in different ways. 2001 universalises its humanity, to the point where Keir Dullea’s Dave Bowman becomes an everyman, no more specific than one of the apes who encounters the monolith at the start of the film. Interstellar’s debt to 2001 is everywhere, from its use of music and model work for effect to scenes that harken back to specific scenes in 2001. It’s a very high bar to aim at, but Nolan has never had a problem with ambition. Moon, on the other hand, makes its humanity intensely personal, and in Sam Rockwell it has an actor whose agonies are always believable. It’s a much more focused film than either 2001 or Interstellar, and its use of science is limited to its setting and the twist that sets its plot in motion. Interstellar bears no specific debt to Moon, but it is as just as emotional and its science is if anything relegated even more to the role of window dressing. The problem with Interstellar is that it falls between two stools. Despite an excess of verbiage (something neither Moon nor 2001 could be accused of), there are some fine performances here. the emotional heart of the film falls by the wayside in the second act and only really comes into focus in the third, by which point it’s too late to sell it. And in trying to restart that emotional heart, it abandons its efforts to say something all-encompassing about humanity apart from a vaguely voiced notion that we’re going to save ourselves. For Nolan, who mastered the difficult art of the closing scene in Memento and Inception, Interstellar feels like it just peters out, unsure of what it’s trying to say. A larger problem in terms of Interstellar’s potential to become a classic of the genre is the fact that, at its heart, it’s an American film, not a universal one. The Dust Bowl theme standing in for environmental collapse is one thing, the self-mythologising tendency at its heart, the repeated moments of folksy wisdom, and the cowboy hero of the last frontier that it can’t look away from is quite another. That last one is perhaps Interstellar’s biggest problem. Matthew McConaughey’s Cooper is the ostensible hero, and his adventures are certainly the most cinematic and visually interesting aspect of the film, but the focus on him detracts from the role of his daughter Murph, played with equal weight by Jessica Chastain and Mackenzie Foy. Her struggle becomes incidental, when it could and perhaps should have received equal billing. This may seem like a negative article so far, but in balance of that, remember that I had big expectations when it came to Interstellar. Nolan’s record is as good as anyone’s at the moment, and I’ve only seen it once (and my initial reaction, before I’d had a chance to think about it, was a lot more negative). On the plus side, it looks beautiful, even though there are a few points where the models look a little too model-like. Hans Zimmer’s score hits the high notes too, as ought to be expected of him by now. Now that I’ve had a chance to read a few reviews, it seems that mixed responses are the order of the day. Bear in mind too that 2001 was met with similarly mixed responses when it first appeared and only ascended to its towering role within the genre over time. 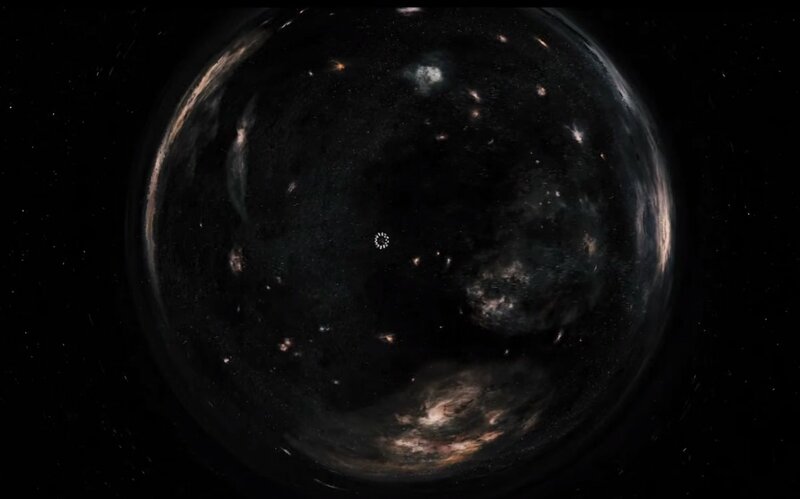 Interstellar may well have a similar path ahead of it. I doubt I’ll ever love it as much as I do Moon though. Whether it’ll improve on second viewing will depend on whether, behind all of its verbiage, there’s brain to match its heart. Edit: So I went to see Interstellar a second time (this time in IMAX). And while I’m glad I did, it didn’t change my mind much. It’s a fascinating, ambitious, flawed film, notable as much for its tendency to hammer you over the head with its themes as for the epic sweep of its visuals. For all its focus on delivering an emotional, almost mystical experience, there’s only one point where it succeeds in truly touching the heartstrings. That particular scene though is the one part of the movie that is a classic piece of cinema, and while I won’t spoil it by describing it, I will say that it involves a countdown.